Saab: New bidders emerge | What Car? Saab is struggling to secure its future after the collapse of a takeover bid led by Swedish supercar maker Koenigsegg last week. 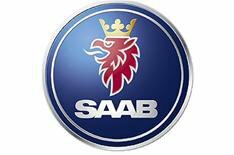 Over the weekend, two new bidders for Saab have emerged, while Sweden's Enterprise Minister, Joran Hagglund, is flying out to America to put Saab's case before the senior management of its current owners, GM. GM has confirmed that it is in 'close dialogue and close contact' with several parties interested in taking control of Saab. Chinese carmaker Beijing Automotive Industry Holdings (BAIC) is reported to be one of the interested parties and it has previously stated its desire to expand onto the international stage; and another is an American investment bank, Merbanco. Earlier today, when asked if BAIC would consider buying Saab, BAIC's general manager, Wang Dazong, said: 'I would just say, "stay tuned a little bit". If no buyer can be found for Saab, the company faces the risk of being wound-up by GM, which has already axed its slow-selling Saturn brand in the US. The Swedish Government has already said that it will not bail out Saab with a rescue loan if GM fails to find a buyer. 'If you try to support fundamentally non-competitive businesses, you will spend a lot of tax money and still see the jobs disappear,' said Swedish Prime Minister Frederik Reinfeldt.